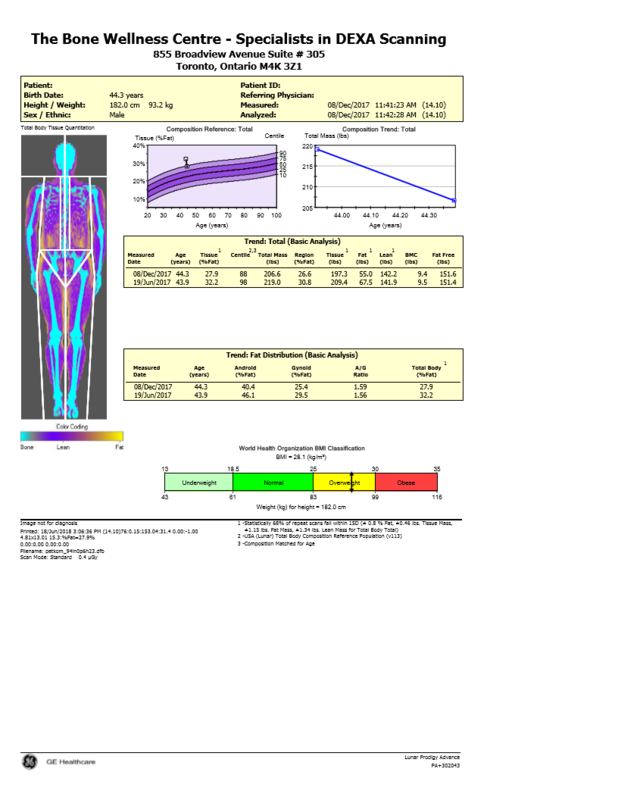 The following DEXA sample scans depict how muscle mass, body fat and bone density are highlighted and compared. See how these factors play out for obese individuals as compared with athletes and body builders. By having a clear representation of your body fat and muscle composition, you can make serious steps in improving your health, fitness level and diet accordingly.